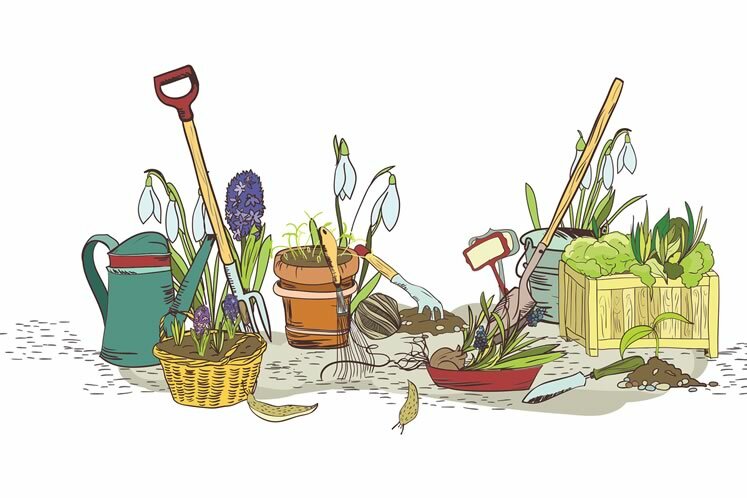 If you’ve vowed to up your gardening game this year, consider a workshop to shake off the winter cobwebs and sharpen your focus. Local organic gardening guru Lorraine Roberts of Plant Paradise Country Gardens in Caledon is offering her Dividing Perennials workshop on Saturday, April 14. You’ll learn why dividing perennials both rejuvenates them and replenishes the soil. Or, if you’re dreaming of more bees and butterflies in your yard, try Lorraine’s Pollinator Garden talk on Saturday, April 21 about how to add to the beauty of your garden and support a healthy population of key pollinators at the same time. Other options include Starting Your Organic Vegetable Garden on Saturday, May 19. Attendees are encouraged to bring their own gardening gloves and get down to work. 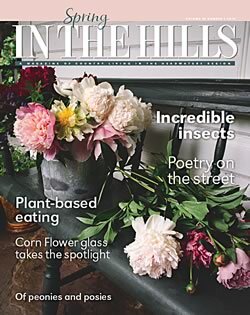 “We enjoy sharing our knowledge to make every gardener’s journey easier, healthier and more successful,” says Lorraine. “We hope our gardening wisdom will help gardeners be a part of the positive change that makes a difference in our environment.” Visit plantparadisecountrygardens.ca. Save the date: The poets are coming! It’s unlikely you’ll find out what rhymes with orange, but there are other pleasures to be had at the first Day of the Poets, happening Saturday, May 5 in Orangeville. Coinciding with the opening of the town’s first outdoor farmers’ market of the season, more than 20 poets will be sharing “window poetry” on Broadway and performing random acts of poetry. As poet laureate of Dufferin County, organizer Harry Posner’s mandate is to highlight his art form through public appearances and events that encourage local poets to present their work in public. “Haiku, limericks, sonnets, free-form verse and slam poetry – you’ll hear it all and it’s free!” Details at orangeville.ca. It’s not easy being green, but a slew of upcoming naturalist and Earth Day events will get you a few steps closer. On Saturday, May 26, join expert staff at Dufferin County Forest (the Little Tract, about 15 kilometres north of Highway 89) for a Tree Identification walk to learn the difference between a sumac and a sugar maple, deciduous from coniferous. Then on Saturday, June 2, it’s a Wildflower Identification journey with terrestrial and aquatic botanist Dawn Renfrew at the same location. It’s your chance to figure out how to ID more than just trilliums, daisies and dandelions. Register at dufferincounty.ca. 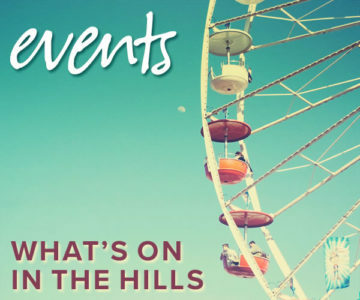 Finally, learn about the Albion Hills Conservation Area at their field centre in Palgrave at an Earth Hour Celebration the evening of Saturday, March 24. 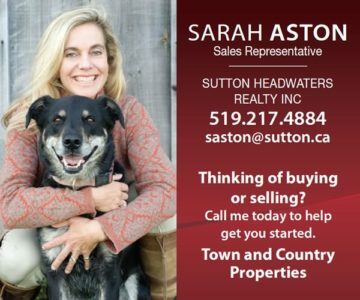 Find out more at trca.ca. At the same time, the province is aiming to give farmers and owners of agri-food businesses a boost in improving their energy efficiency and fighting climate change – think better greenhouse covers or upgraded refrigeration systems, for instance – through two new programs from the Green Ontario Fund. Chef Dinesha Shetty of Cataract Cuisine. Photo by James MacDonald. You never know where you’ll find your new favourite dish. 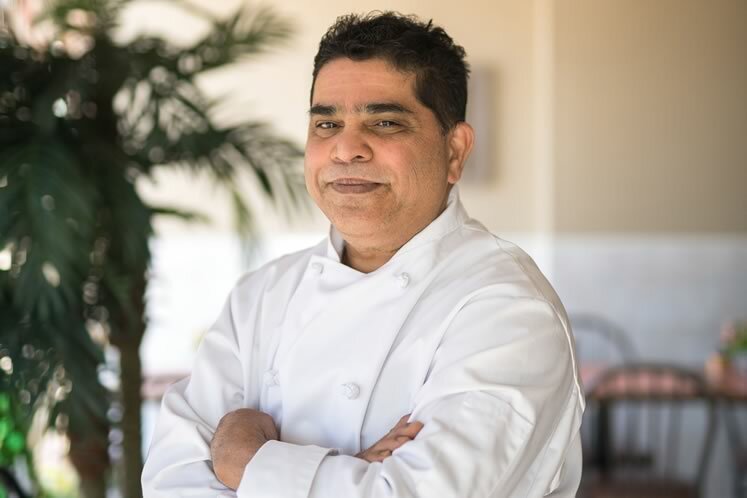 A reader called to insist we try chef Dinesha Shetty’s new Cataract Cuisine at the gas station at Main Street and Charleston Sideroad in Caledon. The former RJ’s Taste of Asia location (they’re now on Mill Street in Orangeville and also delicious) advertises a wide range of foods including burgers and pasta, so you might not know excellent Indian fare is also available – but it is. We couldn’t resist a takeout dish of the butter chicken with crisp, not sodden, steamed veggies on the side – and the folks in line behind us said they swear by the cheap-and-cheerful Sunday brunch. See cataractcuisine.com. If you were a fan of Orangeville’s Discover Your Yoga, the storefront is no longer. Former owner Lindsay Vandenhurk is still teaching and leading trips, but her memberships have been transferred to the new Lion’s Den Yoga Studio, a few doors east of the former DYY. Owners Jessie Steinberg and Jennifer Bascom and other instructors who joined them are committed to an inclusive feel-good practice. Since the first time she hit a yoga mat, Jennifer Bascom knew “the peace, healing, and strength I experienced was something I wanted to be able to share.” Check out lionsdenyoga.com. The warm and wonderful Mag Ruffman shares what she has learned during her lifelong adventures as an actress, builder, musician and artist during a lunch on Wednesday, April 25 at the Best Western in Orangeville. “Entrepreneurs and artists live in a world of intense creative pressure. Pressure to produce, pressure to please, pressure to earn, pressure to move people to buy our stuff,” she says, hinting she has found a way to maintain creativity under all that pressure. 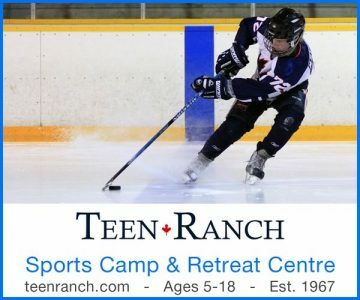 Tickets at orangevillebusiness.ca. 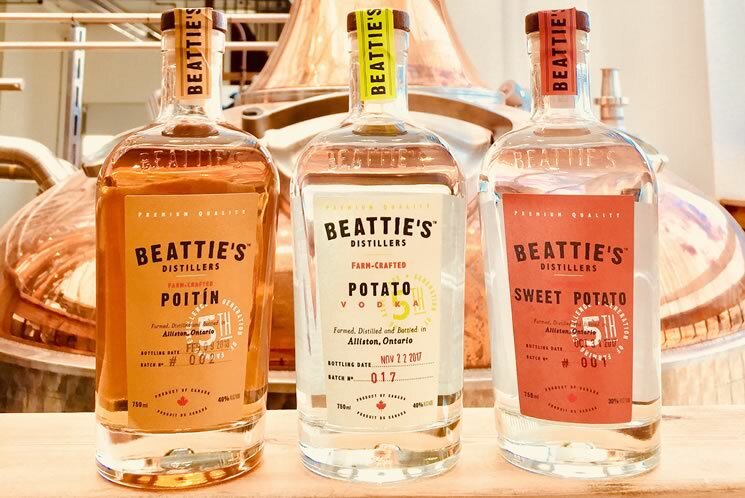 Beattie’s Distillers in Alliston transforms the humble potatoes their family has been growing for five generations into award-winning vodka. They’ve now released two new blends for cocktail lovers to sip. One is their take on poitin, an age-old Irish moonshine. The other is a vodka featuring sweet potatoes, which sounds almost healthy. Both are available in select LCBO locations in the area, so check store inventory before shopping. Learn more at beattiesdistillers.com.